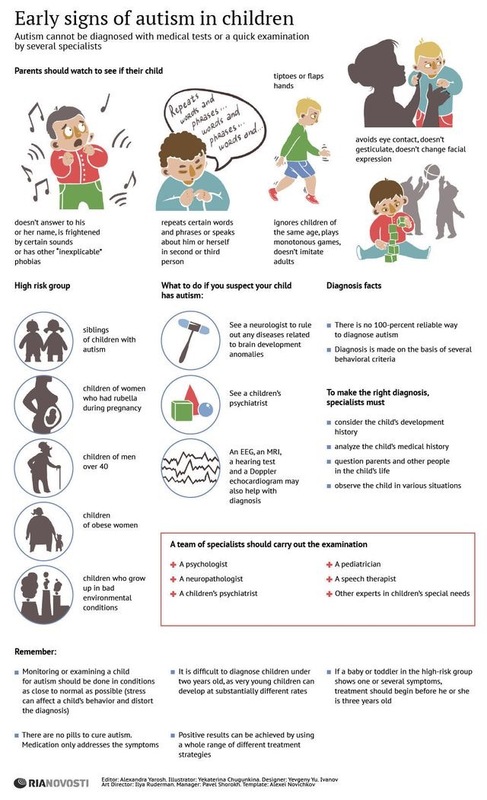 Here are some of the early signs of autism in children. The ones listed that Oliver can relate to are: doesn’t answer to his name, is frightened by loud noises, other inexplicable phobias (is scared of stuffed animals), tip toes, flaps hands, avoids eye contact, limited facial expressions, ignores children of the same age, and has trouble imitating adults. He doesn’t qualify as being in the “high risk group” that this image discusses. Oliver was diagnosed, after 6 hours of observation and concerns from multiple professionals, by a clinical psychologist at the University of Washington Autism Center.